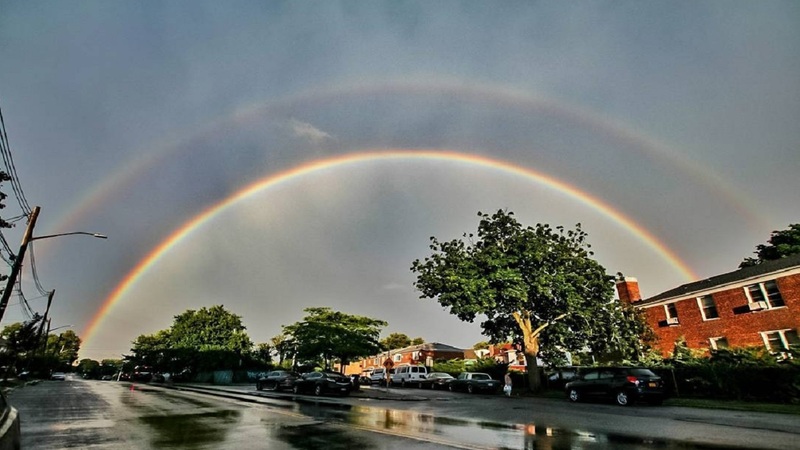 NEW YORK (WABC) -- Saturday evening was a stormy start to the holiday weekend for many, but after storms moved through the New York City area, a beautiful rainbow (and in some parts of our area - a double rainbow) appeared. 6) Because who doesn't love a rainbow AND an adorable dog? Have a beautiful photo you would like to share with us? Just use #abc7NY on Instagram or Twitter!